Elegant light straw colour. Fresh primary notes of granny smith apple and white flesh fruit. An array of dancing pearls creates an ambiance of magical aromas. On the palate the crisp acidity captures the tingling aromas of citrus that transcends into pockets of apples and pears. A top class Sparkling wine that resembles elegance and finesse. 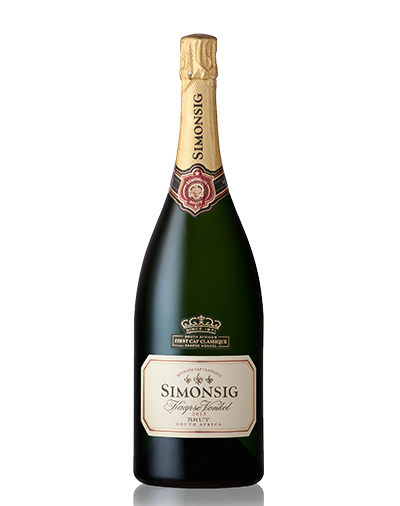 Style: A delicate sophisticated Cap Classique with delicious flavour intensity. Cellaring potential: Four to six years from vintage date. An exquisite champagne colour with energetic dancing pearls. A sensory adventure filled with fresh red berry pockets and hints of candyfloss. A celebration of refreshing flavours tantalise the palate with a sublime finish of quince notes. The subtle yet crisp acidity causes an array of lingering high notes. This vibrant Sparkling Rosé reflects elegance, style and finesse. Style: A full flavoured dry sparkling Rosé made by the traditional Methodé Cap Classique method. Cellaring potential: Delicious when youthful. The wine displays a light straw colour with a delicate mousse submerging to the surface. These tiny dancing pearls release pockets of fresh granny smith apples. The Cuvée Royale 2012 states freshness of apple orchards where sublime citrus blossoms trickles through on the palate. The beautiful acidity makes way for an unforgettable sensory adventure. Style: Prestige Cuveé Blanc de Blancs Cap Classique Brut. Cellaring potential: After maturing in our cellars for more than 4 years the Cuvée Royale has now reached optimum maturity and can be enjoyed now. Careful cellaring will develop more depth of flavour and complexity. 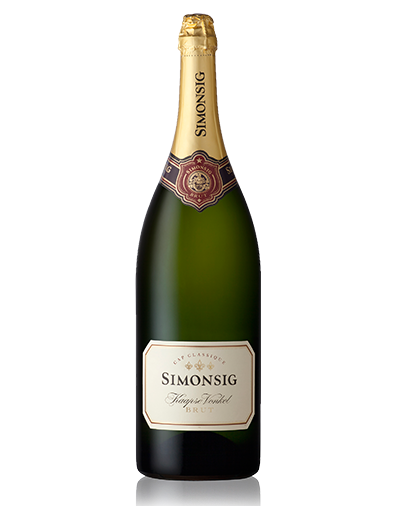 Jewel-like in clarity with a straw-coloured undertone, this sophisticated Cap Classique excites with a symphony of energetic, yet elegant bubbles, and notes of white peach and red berries. The flavour of freshly baked bread comforts the palate, while the fine balance between the fruit and acidity displays beautiful finesse and elegance. 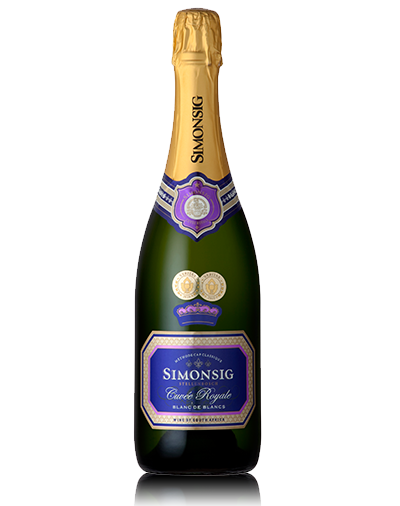 The maiden Kaapse Vonkel Demi Sec 2015 is made from the classic Champagne varieties of Pinot Noir (49%), Chardonnay (48%) and Pinot Meunier (3%), all three grape cultivars having been specially vinified and aged for creating a unique Simonsig Cap Classique in a fruitier, floral and semi-sweet style.